In the days and months after Laura Saxton's daughter went missing, she felt so alone. Her biggest fear was the case would be forgotten. DENVER — In the days and months after Laura Saxton's daughter went missing, she felt so alone. Her biggest fear was the case would be forgotten. On Monday, she marked Colorado Missing Persons Day on the sixth anniversary of Kelsie Schelling's disappearance. Saxton was the driving force behind the day because she wanted an opportunity for other families to know their missing loved ones matter. "I just want them to know that they’re not alone," she said. "Probably more than anything, that their missing family member is not forgotten because I know for me, and I’m sure it’s that way for a lot of families, is that on a daily basis it’s a very lonely thing to go through." 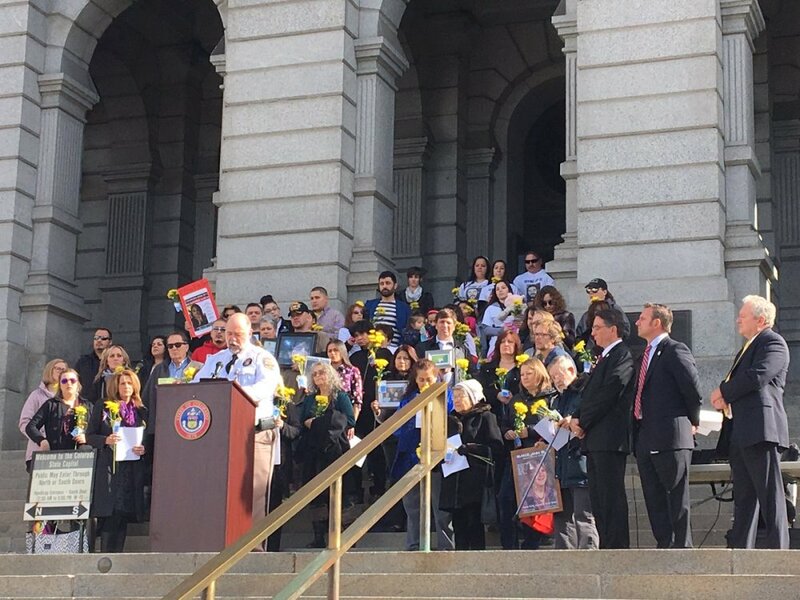 Those families were recognized on the floor of the Colorado Senate and several legislators addressed them. 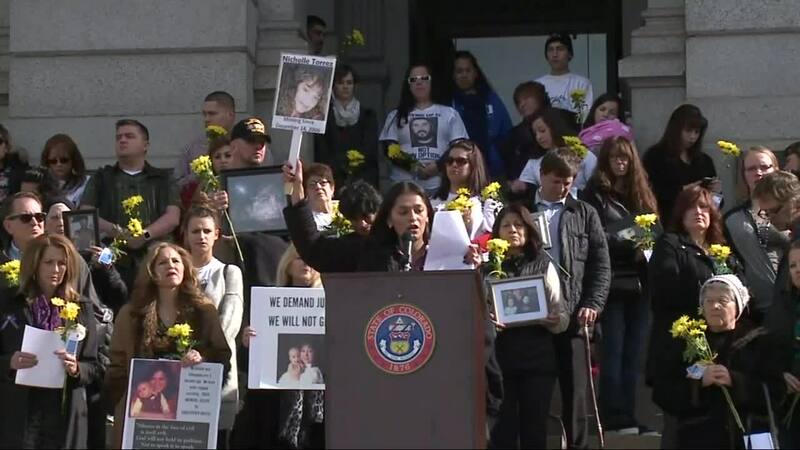 Then the group went outside to the Capitol steps where they read the names of 524 missing people in Colorado. A chaplain said a prayer as they remembered everyone who never returned home. On the steps, the family of a missing Longmont mother gathered in hopes of continuing to get the word out about her case. Rita Gutierrez-Garcia went missing in March 2018 after celebrating St. Patrick's Day with friends. She was last seen behind a Longmont bar. "We’ll just keep doing what we can, not only for Rita but now even more you know try to support other families and pray that someone gets an answer," said Diane Romero, her mother.